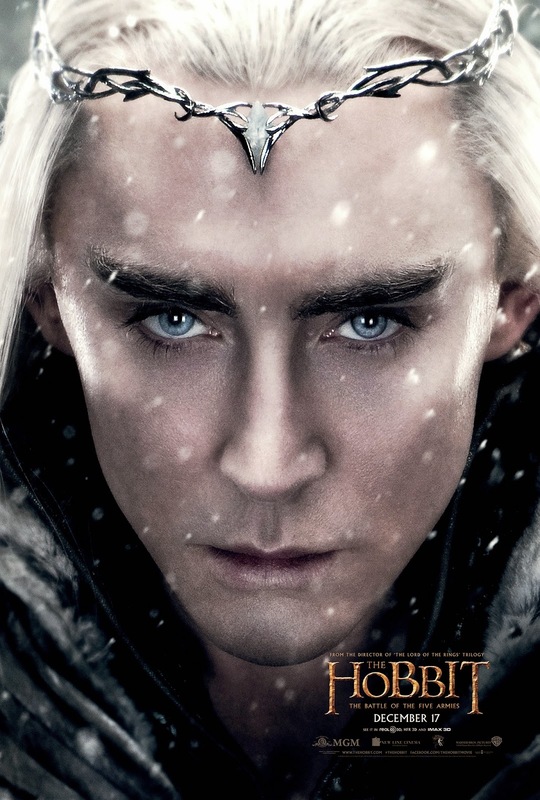 MarketSaw - 3D Movies, Gaming and Technology: Five More HOBBIT Character Posters! 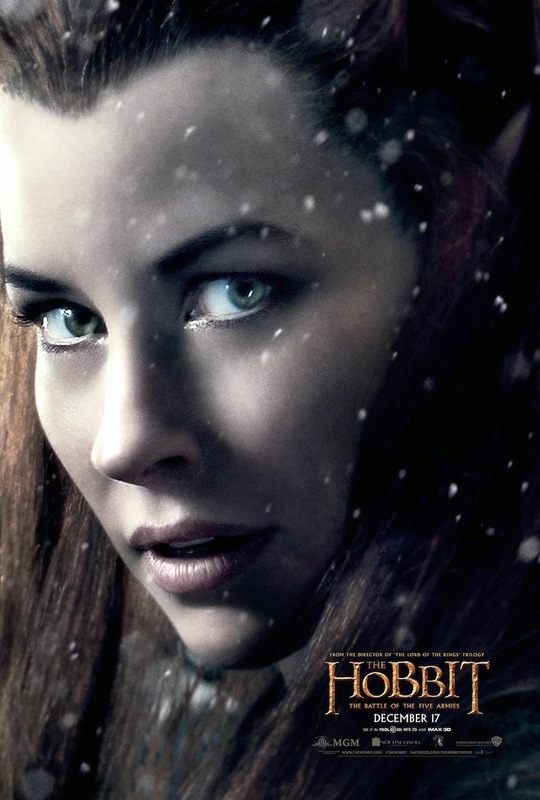 Five More HOBBIT Character Posters! 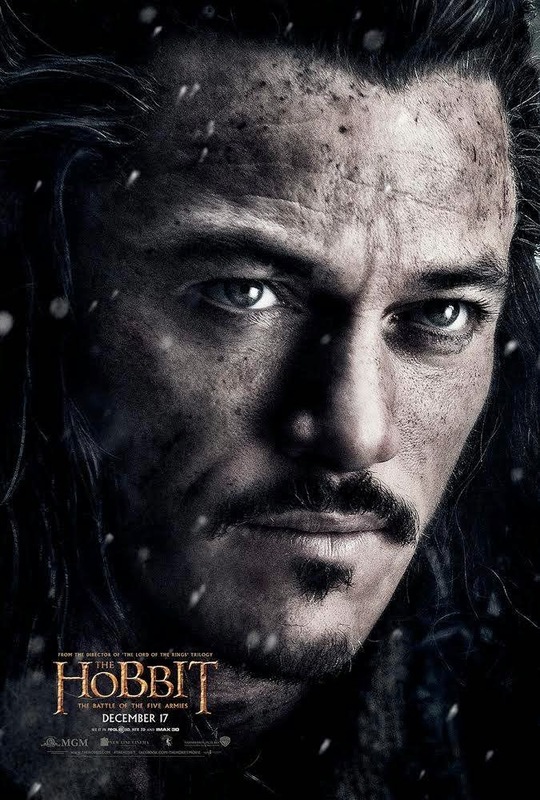 Tim here, and here are yet another five more character posters for The Hobbit: The Battle of the Five Armies. Again spread across the last few posts on The Hobbit's Official Facebook Page. 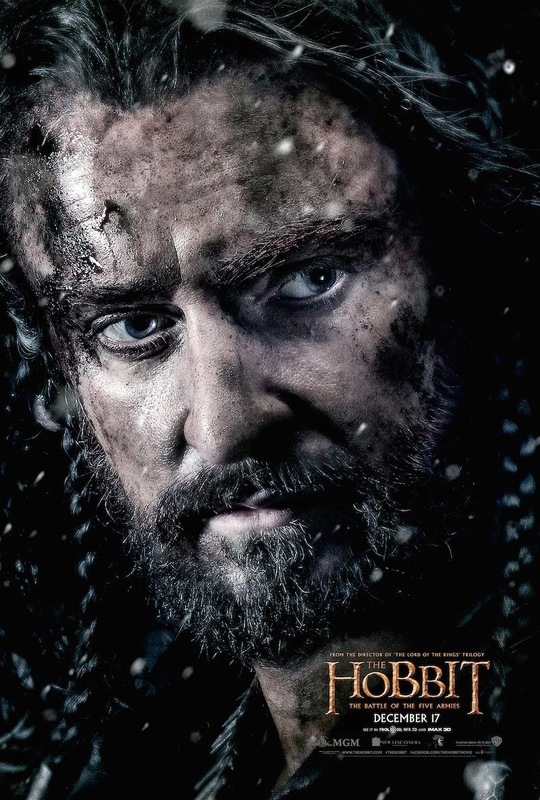 The images above are the new posters, and each keeps the close-up on the face of the character theme; First up Bard (Lee Evans), then Tauriel (Evangeline Lilly), followed by Thorin Oakenshield (Richard Armitage), then Thranduil (Lee Pace), and lastly Bilbo (Martin Freeman). Yes, another Bilbo poster, but this one stays in the theme of the others. Next up we'll get posters of Merry, Pippin, and Samwise... kidding. Obviously, we've yet to get all the dwarves: Fili, Kili, Bifur, Bofur, Bombur, Ori, Nori, Dori, Oin, Gloin, Dwalin, and Balin. My, oh my, I hope I didn't leave anyone out. 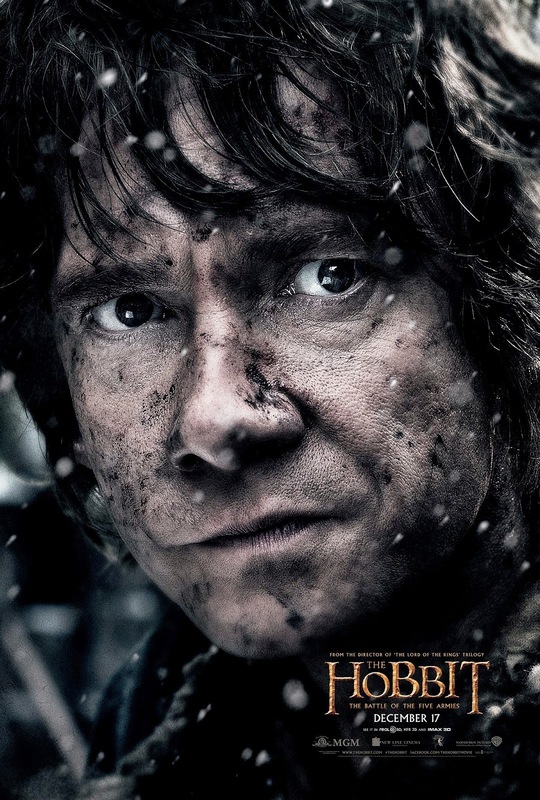 However, Bilbo is the last of the character posters according to the Facebook Page. And then: the theatrical trailer! I can't say when the theatrical trailer will hit. However, it is supposed to be this month. So keep cool and we'll let you know a soon as it hits. The release of The Hobbit: The Battle of the Five Armies arrives in theaters December 17th, 2014 in IMAX 3D, RealD 3D, HFR 3D shot in native 3D with 3ality Technica rigs.